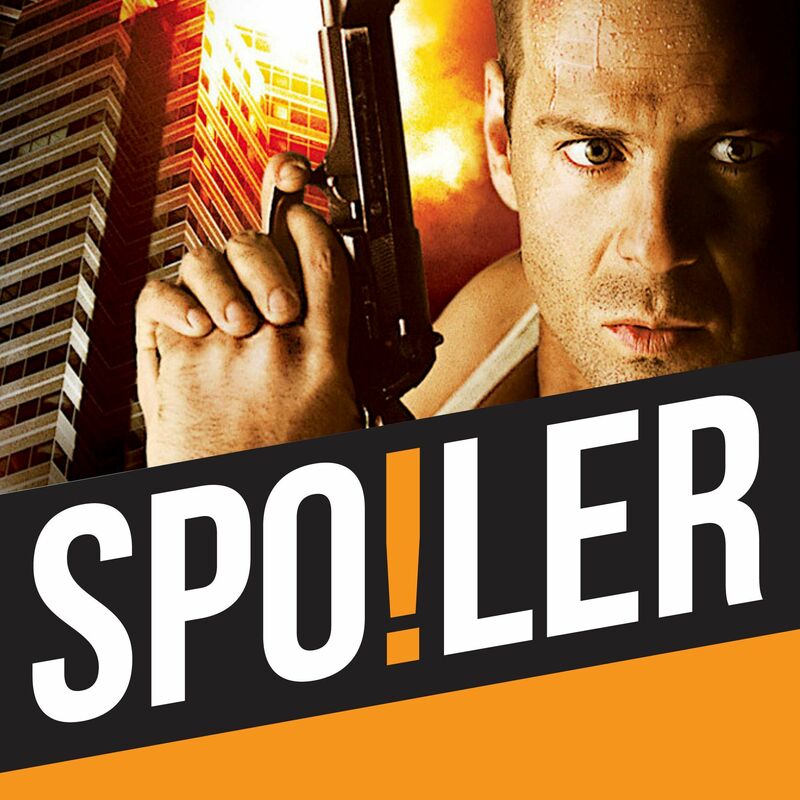 The Spoiler team are back and we’re kicking off series 5 with a listener choice, John McTiernan’s action-thriller ‘Die Hard’, starring Bruce Willis, Bonnie Bedelia and Alan Rickman. 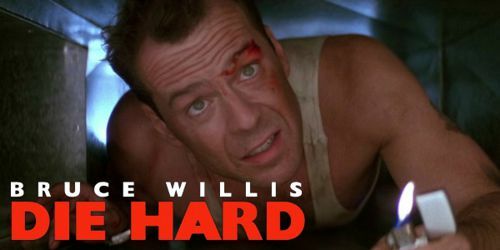 Despite Paul stating emphatically in his introduction that ‘Die Hard’ is not a Christmas film, Andy and Rachael set about trying to convince him that it is by employing tenuous links and obscure lines of dialogue. As Rachael and Paul struggle to remember if this is the one with the building or the aeroplanes, Andy ties himself in knots with elaborate theories on symbolism, all for the sake of a lousy pun. While the team seem to enjoy the film, they also enjoy picking it to pieces for its racial stereotypes, wobbly dialogue and an inverse snobbery about people who work from behind desks. Andy has to be restrained and, ultimately, censored in his determination to quote the movie’s most famous line, Rachael admires Bruce Willis’s funny little pout and the team imagine an alternate universe in which Frank Sinatra played the role of John McClane. And, of course, everyone loves Alan Rickman. Elsewhere, Andy looks at the art of the movie sequel and lists five sequels which have equalled or surpassed the original films from which they stemmed. Controversially, at least as far as Paul is concerned, the list does not include ‘Ghostbusters 2’.